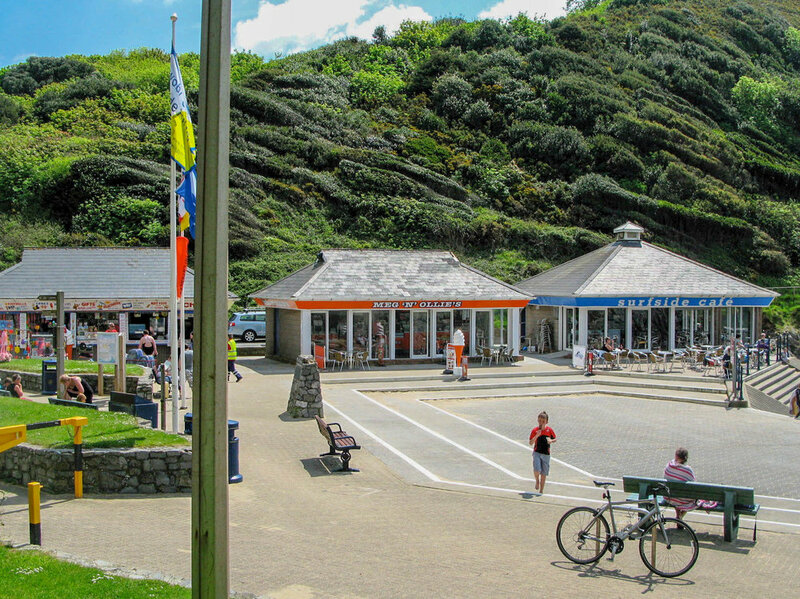 Caswell is a sandy beach with good access and facilities, a popular destination for both visitors and locals all year round, situated ten minutes drive from Mumbles village. The beach shops are geared towards young families, and are well stocked with all the essentials for building sand castles. Swimming is safe, and there is a Lifeguard patrol during the summer months. 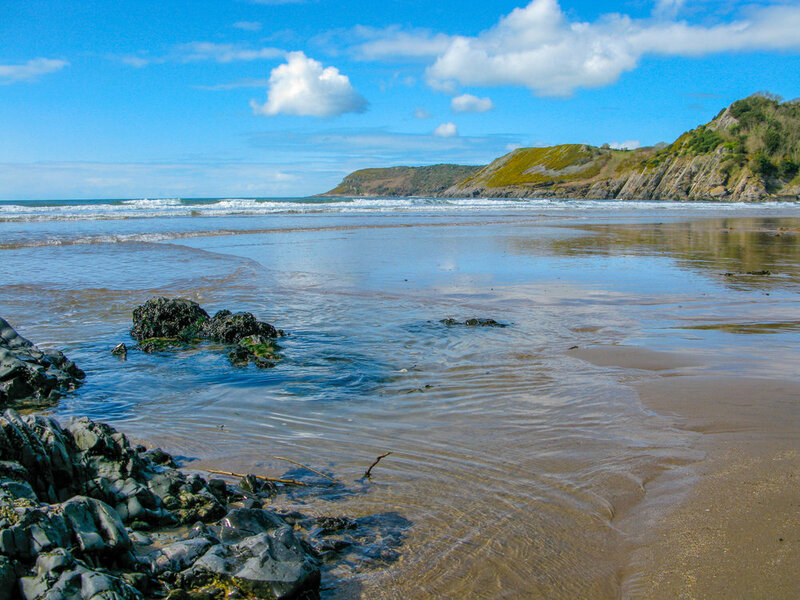 When conditions prevail, this is a popular surfing beach, particularly at mid to high tide. Close by is the Bishop's Wood nature reserve. During the the peak summer months the two car parks will fill up quickly and you need to be at the beach by 10am to guarantee a parking space. This is Pay & Display car park and has toilet facilities with external showers for washing away unwanted sand. At low to mid tide, Caswell has a large beach. However, this is not the case at high tide, so if you don't like crowds then avoid high tide. There is a coastal path east to Langland Bay, approx one and half miles, with spectacular views across the Bristol Channel to North Devon. The path is generally good in most places, but there are some relatively steep inclines and steps that may not suit the less able. It takes about 25 minutes to walk from Caswell to Langland along the cliff path. This is a great walk at any time of year, and you can grab a refreshment at either end during the day. Langlands's Brasserie stay open till late and serves a good variety of food and drink. the Surfside Side Cafes usually close by early evening. Look out for the local seals. Uploaded by EnjoyWales on 2018-03-09.